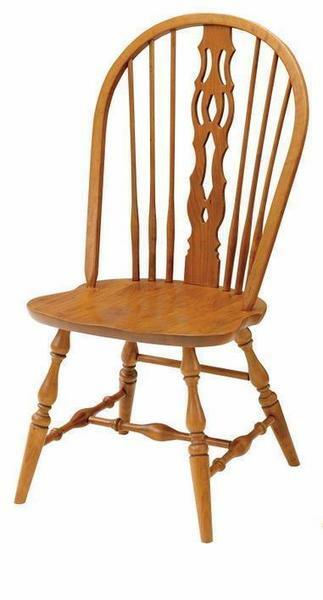 The Amish Concord Windsor Dining Chair is a cozy addition to your country kitchen. The Windsor style chairs hark back to when our nation’s founders were farmers. Country remains one of the enduring popular styles. This Amish Dining Room Chair comes with a 25 year warranty! The furniture is so sturdy that it lasts for generations. Each pieces of furniture in the Keystone Collection is a classic expression of the woodworker’s art. Shown in Solid Cherry Wood with Autumn Wheat Stain and Umber Glaze. Shown in Solid Cherry Wood with Autumn Wheat Stain and Umber Glaze.